Our Tuesday Night group didn’t actually finish exploring all of this level of Downunder. Somewhere beyond that last hallway (the one without crosshatching around it) is access to the rest of the sub-city of Downunder. I love seeing other people’s hand-drawn maps. The more the better! Hmm… enigmatic. What kind of adventures did your group have in those little rooms? Thanks for sharing the map, though. Most of the little rooms are apartments and rooms used by gang members and down-on-their-luck citizens who have no place to live in the surface city. Basically the underground squatters of the city. Dyson?? Where are you? We miss you!! I hope you are okay! What could menace the one who survived the Great Internet Blackout? Come back Dyson! The internet is 73% less awesome without you! Yes, please come back. I hope all is well and this is just a peace of mind hiatus. Dyson, hope all is well. It has been a while, and I just thought that I would pop in and check on you, man. It’s true, the internet (at least my iGoogle) is way less interesting without my weekly updates, yo! Anyone know what happened to Dyson? It’s really unusual for him to have posted nothing in a month. I hope you’re okay, dude, where ever you are. Dyson! I miss your maps and your blog. I hope all is well with you and your family. Maybe it’s just a bad case of overwork or a month-long hand cramp that’s keeping you from drawing your wonderful maps. Great drawing.Is it a prison? its been almost two months! any news? Dyson, where’d you go? We’re all starting to get a bit worried here. Hope everything is OK.
Just discovered Dyson’s stuff, and it’s amazing. But now I got to this post, and am pretty worried as well. I hope you’re on to better things, Mr. Logos. You’ve always been a class act, giving folks quality content. I’ll assume for the time being you’re saving up material for that big commercial release I’ve been waiting for. 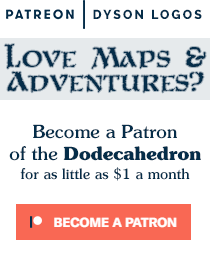 Either way, thanks for clarifying geomorph production and for your Dodecahedron! 2d6 Thief rocks. Dyson, i hope you’re all right…. No Fenton but you’re right that’s odd ! Is anyone here know him IRL ? Dyson talk about the party which play in those maps. Please tell us what happen ! I’d like to know what happened to Dyson too. I’m both curious and worried, not to mention this is one of my favourite blogs! I’ve seen no mention of Dyson on any of the other OSR sites such as The Underdark Gazette, Risus Monkey, Hill Cantons or Cyclopeatron. What about Dave’s Mapper? Why no comments among the other bloggers? I’ve received no response to several e-mails and also worry at the seeming disappearance. I would note that Joe Wetzel (from http://www.dungeonmorphs.com and http://inkwellideas.com, in his latest update on the Dungeonmorph Dice mentions that he hasn’t been able to contact Dyson either. (Dyson being one of the artistic contributors to the Dice project.) That little bit of news REALLY worried me. The gaming world is just not the same since he has been absent. Thanks for the info, Lee. It’s good to know that everything is (seemingly) alright. I also hope that Joe let Dyson know that he was missed and we’re all concerned. Hopefully it’s a minor speed-bump or a need to recharge batteries and Dyson can be among us again soon. Either way, I’m glad it wasn’t something more serious (apparently). I’m also relieved to hear that. Thanks Lee! Dyson: Best of luck with whatever is going on, and I hope it’s nothing too serious. You are in our thoughts! Good luck Dyson! Hope we hear from you in the future again as many of us miss seeing you post new maps. 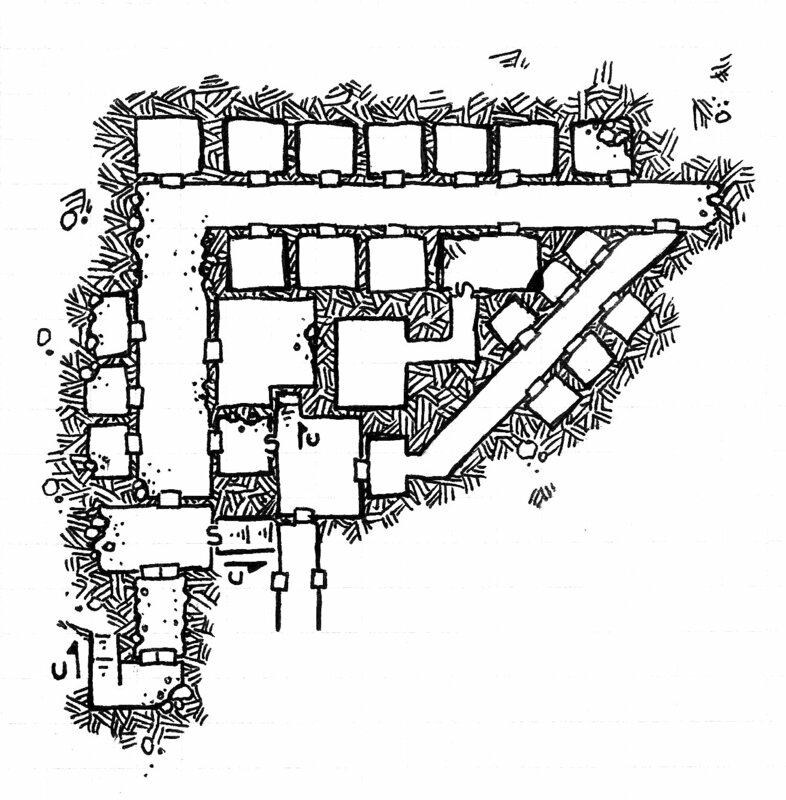 You’re work is top notch and an inspiration to get myself started in dungeon mapping.